Mother thumbprint charm with three children thumbprint heart charms, attached....Great gift for grandma! Charms are .999 fine silver. 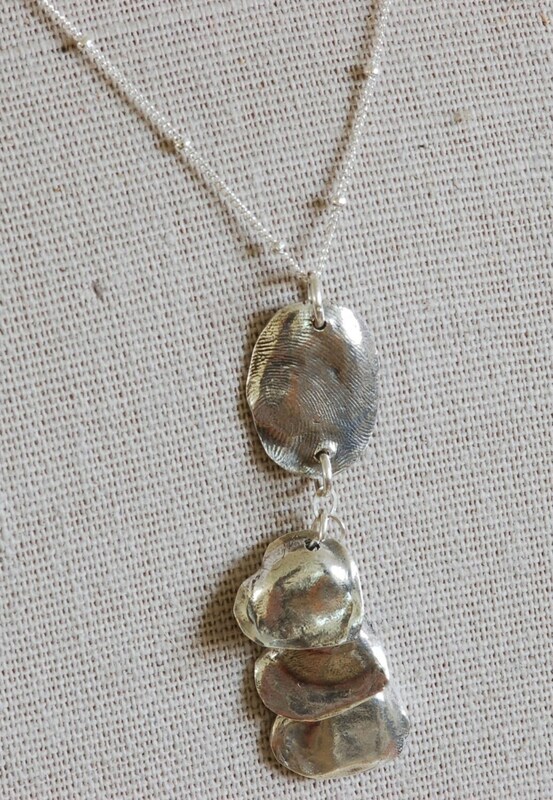 Charms are attached to a sterling silver chain. Please let me know what chain length is needed.